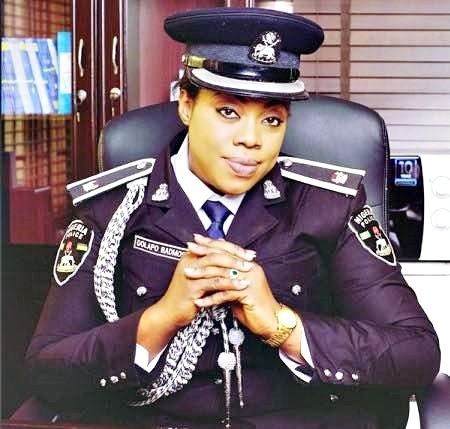 It’s a season of jollity and benediction for the irrepressible Police Public Relations Officer (PPRO) Zone 2 of the Nigeria Police Force, SP Dolapo Badmos. The amiable, beautiful and hardworking lady cop took to social media in confirmation of the new development in her blossoming career. She wrote thus: ’next level! This can only be God, thanks to the leadership of the Force’. This must indeed be a super birthday gift for this image maker, who has meticulously served and positively laundered the image of the force for several years. Dolapo is from Ekiti State in Nigeria. She is a graduate of Accounting from the Federal Polytechnic, Ado Ekiti and also a post graduate degree holder in Public Administration. Dolapo joined the force on the 15th of August, 2002, as an Assistant Superintendent of Police (Course 21 Batch) and she was trained at the Police Academy, Wudil, Kano State. She has served in various capacities since she joined the force. She was once Aide de Camp, (ADC) to the number four citizen of Nigeria. Until her appointment, she was serving as the Divisional Police Officer, DPO, Isokoko Division, Agege, Lagos State. Dolapo Badmos, who was appointed Lagos State Police PRO in January 2016 has been appointed zonal police PRO for Zone 2. Her appointment took effect from March 10, 2017 and will see her supervise the Public relations department of both Lagos and Ogun state police commands. Her most exciting moment of being a police officer so far was the day she passed out of the police academy and her most challenging moment as PPRO was during the kidnap of the Ikorodu school children.